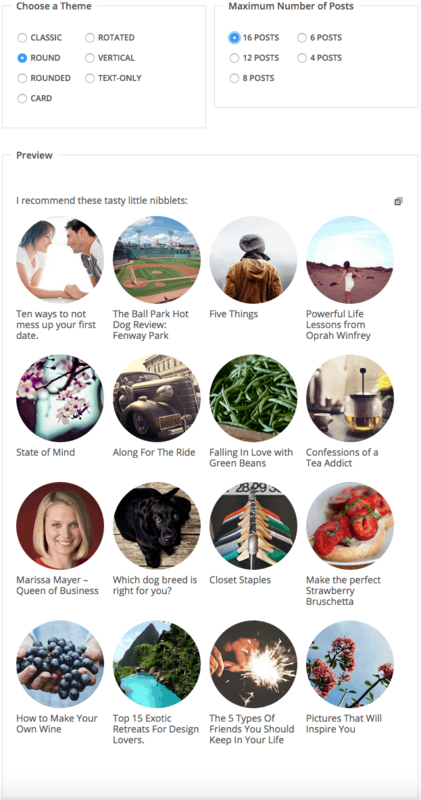 Recently, we released our new “Round” theme for the Shareaholic Related Content App. Today, based on your feedback, we’re rolling out new configuration and display options that help all of our Related Content App themes shine. You now have the option to display 4, 6, 8, 12, or even 16 related posts. We also fine-tuned the breakpoints for responsive layouts on phones and tablets leading to an even more polished look and feel on mobile devices. Be sure to check out our help documentation on how to customize your Related Content. And please, should you have any concerns or questions, reach out to us!